With 1.1 billion people relieving themselves in the open, India accounts for more than 59%, of open defecation worldwide (source: WHO). Open defecation is the leading cause of diarrhea and worm infections, which result in more than half a million children in our country dying annually. Even of those who survive, many are physically and cognitively stunted for the rest of their lives (source: WHO). 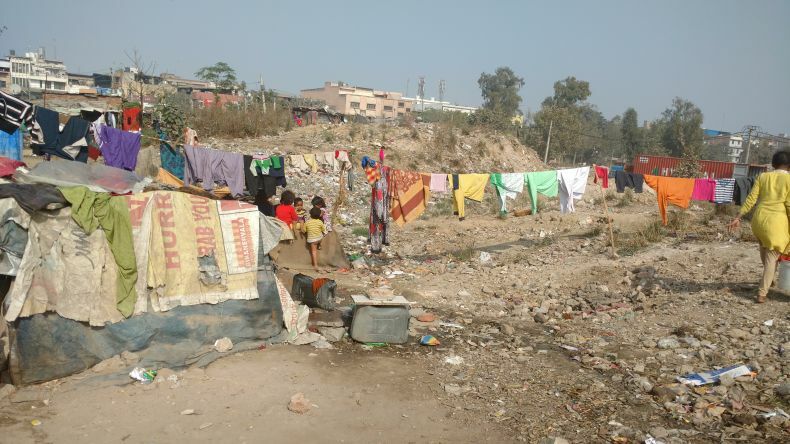 According to World Bank, India loses 2.4 Trillion Rupees each year due to poor and inadequate sanitation conditions (Source: World Bank) While over 1.2 million of Delhi’s slum population is dependent on community toilets, only 55% of this infrastructure is usable (Source: Action Aid), leaving half a million people defecating in the open. 1) People in slums avoid using toilets, given their filthy state. This, along with age old misconceptions, leads to rampant open defecation. Lack of ownership towards community toilets provokes vandalism, rendering them defunct. 2) Currently, the community toilets are developed by the government and then the operationalisation of these toilets is handled by maintenance firms who file a tender for it. The toilet maintenance firms face shortages of trained staff resulting in substandard operations. 3) Despite efforts by the govt to expand infrastructure, funds end up being utilised for reconstruction of defunct complexes. Seeing an opportunity to work on systemic failures, four colleagues and I created Project Raahat in 2016. Entrepreneurial Model: To overcome the problem of substandard maintenance our team developed an entrepreneurial model. We selected two unemployed yet aspiring individuals from the community as caretakers. Through extensive and continuous training, we equipped them with the knowledge of plumbing and cleaning practices, interpersonal skills and bookkeeping. Revenue Model: Further, as mandated by the Government, a nominal fee is charged from the toilet users which forms the income of the entrepreneur after allowing for maintenance expenses and reserves. Customised Sensitisation: We customised sensitisation activities to suit different demographics. For example, we gamified the topic with hopscotch and relay races to educate children on proper use of toilets. We created a own fictional character called Raahi, who became a mascot for propagating sanitation amongst slum children. Our campaigns for women covered topics such as healthy pregnancy and menstrual hygiene. Aesthetic modifications were made using wall art based on popular Bollywood and cartoon themes to encourage people to use toilets. Payment Alternatives: Pay and use toilets are characterised by long waiting lines and the compulsion of having to pay each time, deterring people from using them. To resolve this, we introduced the Raahat Suvidha ticket. These tickets can be purchased in bundles at a discount and offer user convenience and flexibility. Security: By employing nightguards and installing surveillance mechanisms, the toilet facility was operational 24/7. Women no longer have to relieve themselves in the open in the darkness of night. Data Analysis: To effectively monitor usage levels of the toilet complex, we installed a people counter which measures footfall and segregating the population according to demographics. When usage statistics decline, remedial action is taken by the entrepreneurs in the form of targeted sensitisation to ensure continued usage. Exit Strategy: We defined benchmarks in terms of number of users and rate of open defecation. Once these were surpassed, all responsibilities of complex management were transferred to the entrepreneurs. With a baseline and endline done by DUSIB, Sultanpuri showcased a reduction in open defecation from 70% to 35% in a year, a first-time achievement in any slum cluster of Delhi. We were also lauded by Delhi’s deputy chief minister, Mr. Manish Sisodia. We developed a Standard Operating Procedure with DUSIB for all maintenance firms of Delhi. We have been consulting these firms on such maintenance practices too. Rs 9.8 million worth medical expenditures have been avoided through our intervention. 3 years later, Raahat has come a long way. We are 40 members strong, running 15 community toilet complexes in Delhi. We are now working with the Andhra Pradesh government to run our programme through government volunteers. For data on households in India that have access to a toilet, look at our data here.